From JR Aso train station, it is a 40 minute taxi ride (around 7,000 yen) to Satonoyu Waraku. 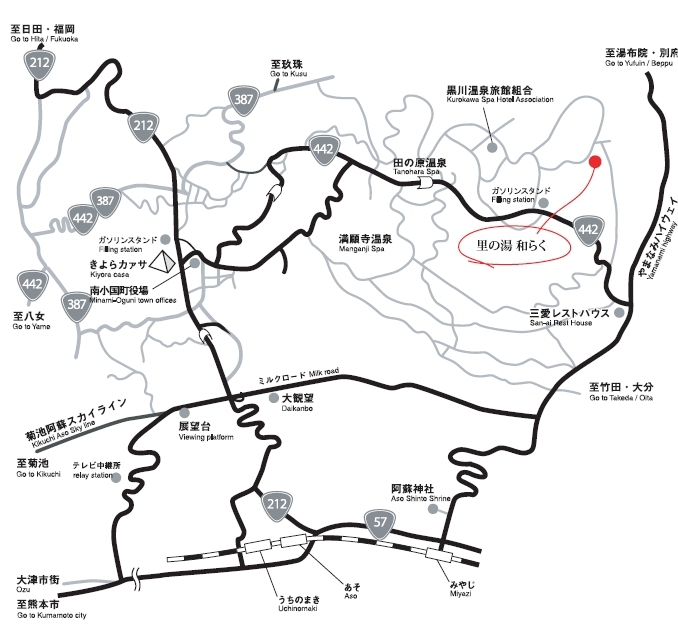 There is also the Kyushu Odan Kanko Bus which leaves JR Aso train station, and it is about a 1 hour bus ride. The one way fare is 960 yen. Please get off the bus at Kurokawa Onsen (we recommend the taxi - it is quicker and less confusing). 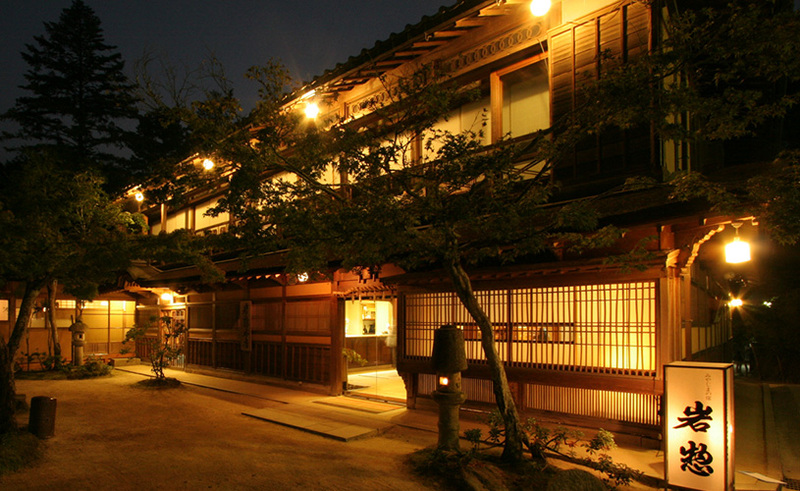 From the Kurokawa onsen you will have to use the free pick up service to the Satonoyu Waraku, please note that you would need to reserve the pick up service at least one week before your stay so please let us know.